A new population viability model, with an accompanying web app, is helping scientists to better forecast population changes and extinction risk for imperiled species. The method was developed by ecologists at the University of Georgia River Basin Center with support from NASA and the help of federal, state and nonprofit fish and wildlife personnel. 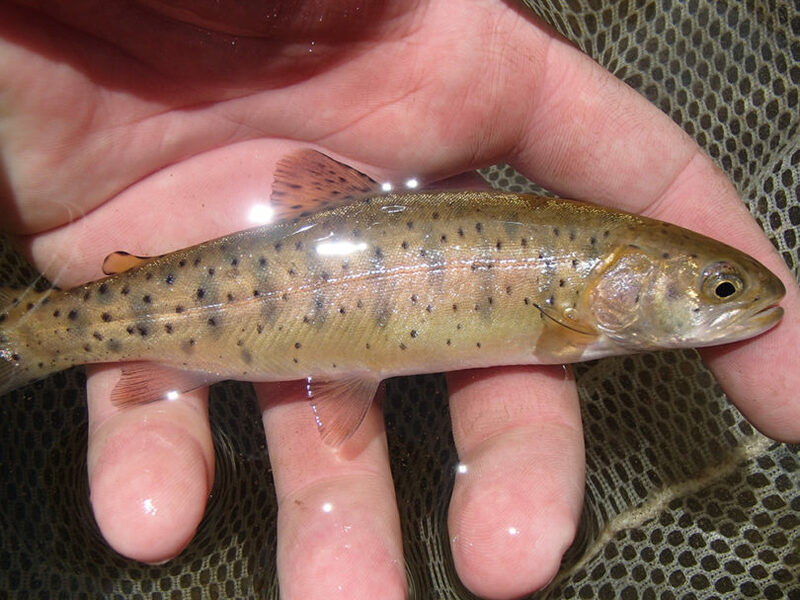 It is already being used to manage Lahontan cutthroat trout, a federally listed threatened species in the western U.S. According to lead author Douglas R. Leasure, former postdoctoral associate in the UGA River Basin Center, the new model solves a problem common to existing methods of estimating population viability—namely that they require an enormous amount of data for every population of interest throughout a species’ range. And those data can be hard to come by. Many imperiled species live in isolated populations in out of the way places, where monitoring is infrequent or nonexistent. The model developed by Leasure and Seth J. Wenger, director of science at the River Basin Center, and their co-authors gets around this issue by sharing information among populations. To create their model, Leasure and his team combined three different statistical approaches: process models, sampling models and observation models. Process models estimate year-to-year changes in a local population based on characteristics like reproductive potential and environmental conditions. Sampling models use information from a few survey sites to estimate the total population size, including all the individuals in never-sampled areas. Observation models estimate how many individuals were missed when sampling at each survey site. Together, these approaches allow the model to tie site-level data to population-level outcomes. Leasure and his colleagues built their model around Lahontan cutthroat trout, a species native to the Great Basin area of California, Nevada and Oregon. Over the years, researchers from different agencies and universities have conducted surveys of the federally listed species at many locations, but pulling that data together was a challenge. The model also required consistent measurements of habitat characteristics for all included populations, which was where NASA came in. As well as estimating population sizes and extinction risks, the model is designed to assess the effects of different management actions and changing environmental conditions on populations. To ensure that the model was accessible to managers and decision-makers in a format they could use, Leasure developed a web app that allows users to browse a map, select a stream and see estimates of its Lahontan cutthroat trout population, as well as forecast simulations under changing habitat conditions. The model is already being adapted for use in other contexts too. Leasure, who is now with the international research group WorldPop, is applying its concepts to building models to map human populations in places without regular census counts. The paper, “Hierarchical multi-population viability analysis,” appears in Ecology. It is available online at https://esajournals.onlinelibrary.wiley.com/doi/full/10.1002/ecy.2538. The web app is accessible at trout.shinyapps.io/lahontan. Besides Leasure and Wenger, the study’s co-authors are Nathan D. Chelgren and Jason B. Dunham of the U.S. Geological Survey; Helen M. Neville, Daniel C. Dauwalter, Robin Bjork and Kurt A. Fesenmyer of Trout Unlimited; Mary M. Peacock of the University of Nevada-Reno) and Charlie H. Luce, Abby C. Lute and Daniel J. Isaak of the U.S. Forest Service. It was supported by the NASA Ecological Forecasting program, the U.S. Bureau of Land Management, the U.S. Fish and Wildlife Service, the National Fish and Wildlife Foundation and Trout Unlimited.